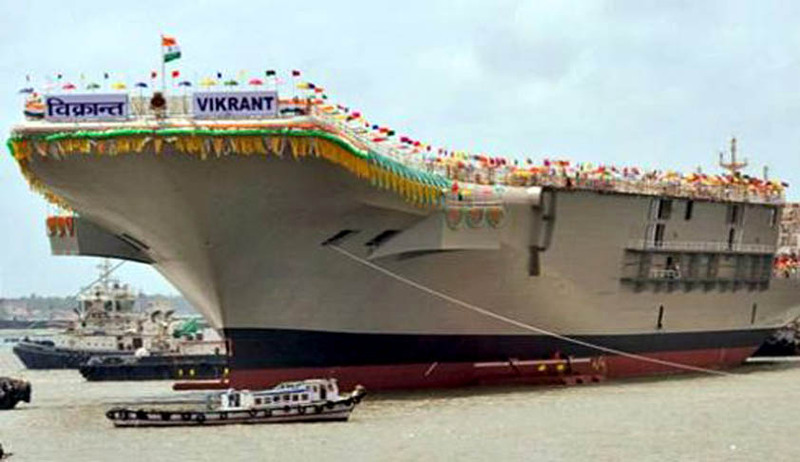 Two Judge Bench comprising of Justice BS Chauhan and Justice AK Sikri allowed shifting of 70-year-old aircraft carrier after the government’s clarification that Vikrant was in a condition of extreme obsolescence and deterioration and could no longer be repaired or refurbished. Kiran Paigankar, who questioned the safety of the ship in its new berthing place,strongly opposed the government plea to relocate INS Vikrant. He said the naval dockyard was the safest place. Paigankar had approached the Court seeking conversion of INS Vikrant into a museum. On May 5 Court issued notice and had ordered the Centre to maintain the status quo. Court allowed IB Commercial Pvt. Ltd. which bought the INS Vikrant in an auction in January 2014, to move Vikrant to the Darukhanna ship breaking yard Friday itself. Country’s first aircraft carrier, earlier known as HMS Hercules in the British Royal Navy, was laid Oct 14, 1943 and it was launched in 1945. It was bought by India in 1957 and was commissioned in the navy Feb 16, 1959. Vikrant was decommissioned on Jan 31, 1997.